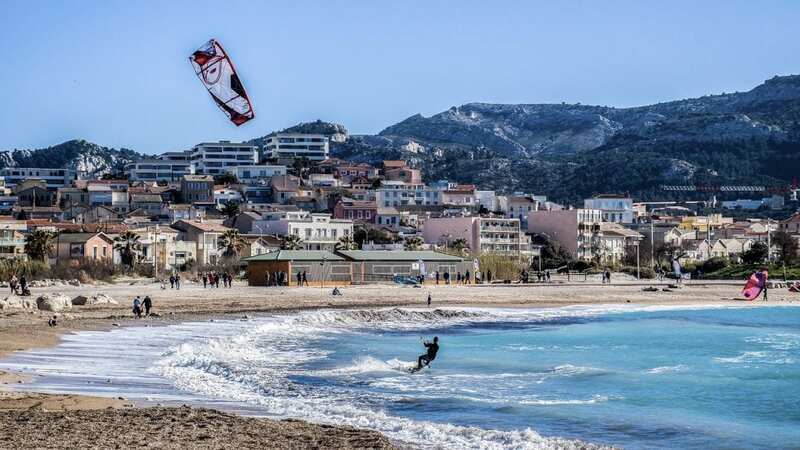 Located in Provence, on the Mediterranean coastline, Marseille is more laid-back than neighbouring Cannes or Nice, and has plenty to delight its visitors. France’s second biggest city, Marseille has heritage dating back to the Ancient Greeks. Afterwards, it became a key part of the Roman empire, and has since retained strong ties with its bordering Italian neighbours. The city also acts as a touchpoint for France’s colonies in North Africa: Algeria, Morocco and Tunisia. This melting pot of history and cultures gives the city a vibrant and characterful charm. As if travellers needed any other reasons to visit, Marseille is apparently the sunniest city in France. And you’d be surprised how much you can pack into a weekend visit. Start with these highlights. The hub of the city is the historic port, Vieux Port, which is still an important commercial and cruise ship port in France. Take a morning walk around the port to see local fisherman selling their daily catch, or enjoy an early evening cocktail at one of the waterside cafes or bars, many of which follow the Italian tradition of ‘Apertivo’. in which drinks are served with light snacks. Marseille is a hilly city, which can be a challenge for the non-active tourists though one of the advantages is that the city has many viewpoints from which to admire the sunset. One such location is the Palais du Pharo which was originally built for Napoleon III. It has gardens overlooking the seafront and sunset. An alternative to this is the terrace area outside the MUCEM. The Museum itself is a modern addition to the city, and hosts Mediterranean themed exhibtions. 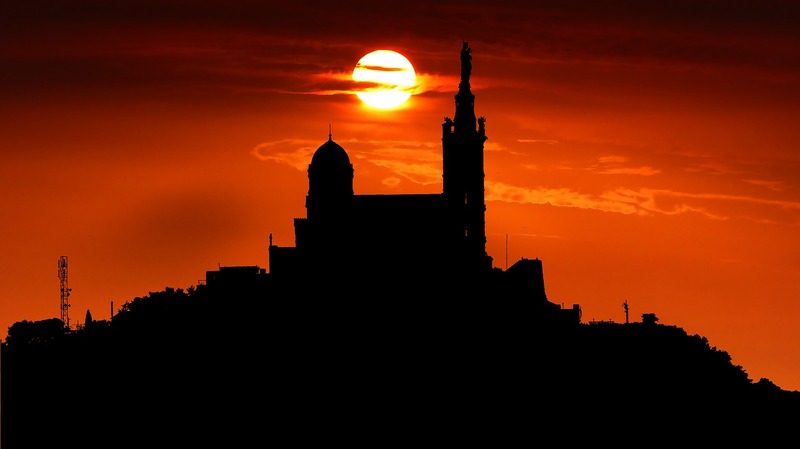 As sunset draws closer, you’ll find many locals and tourists gathering across the many vantage points near the Museum and imposing Fort Saint Jean to glimpse a view of the sun as it slowly sinks into the Med. A 25-minute walk from Vieux Port brings you to the nearest beach, Catalans. This small but sandy beach is crowded at weekends, and is a great opportunity to take a dip in the warm waters of the sea. The impressive Palais Longchamp dates back to 1849 when it was commissioned to celebrate the creation of canals bringing water into the city. The water features and fountains of the monument are particularly spectacular, and the gardens behind are also worth a visit. From nearly every location in the city, you can see the magnificent Notre Dame de la Garde basilica, which was built on the highest point in the city. This means there is a steep walk uphill to reach it, taking about 20 mins from Vieux Port – depending on how many stops you make on your way up. Reaching the summit, you’ll be rewarded with splendid 360 degree views of the city, mountains in the distance as well as the port and Mediterranean Sea. Inside the basilica, the views of the interior are equally stunning. Nul Part Ailleurs is a French/Italian eatery in Vieux Port featuring an extensive menu with something to please everyone. There are plenty of vegetarian options, including pizza, but you should definitely try the mussels to sample local cuisine. To reach the arty area of Cours Julien, requires the climbing of more steps. The stairs ‘Escaliers du Cours Julien’ are no ordinary stairs – they’ve been colourfully decorated in street art that gives you a flavour of what to expect when you arrive at the top. The narrow lanes and restaurant fronts are covered in Instagram-worthy graffiti. British Airways, EasyJet and Ryanair operate direct flights from the UK to Marseille, with flights taking around 2 hours. From Marseille airport, there are buses to the Gare de Marseille leaving every 15 minutes, costing around €14 return.